The diesel share of the pie in the US is simply pathetic, circling around 3 percent. It is far away from 13 percent on a global level, let alone compared to the half of the market share in Europe. Still, that is more than one percent reserved by EVs, and at this moment we have to count them in, despite their uncertain future. GM is well aware of current diesel unpopularity in the US, but it is also knowledgeable about the empty spot left when VW removed its diesel offer. 2018 Chevrolet Cruze Diesel might just fill that void perfectly. When VW was forced to withdraw the diesel option from Golf’s engine lineup, compact hatch segment was left without any diesel powered vehicle, while those that already own the infamous Golf’s remained with a pile of cash in their hands as a result of VW’s reimbursement plan. So today, if they still want a diesel, and some of them do, there is nobody but Chevy to turn to. But what if they still desire body of hatch along with compression ignition? When Jetta TDI left the scene, Cruze sedan was there as the last diesel-beacon in the class, while now it is just becoming available in hatchback shape, making offer complete. Price starts at $24,300 for the version with manual and only around $400 more for 9-speed automatic option. At first glance, those price tags are rather high, but Chevy pulled some tricks to mitigate that. Hatch with the manual shifter is almost two grand more than same treated sedan, but if you go for automatic, as the majority will, the difference is below $500. When you try to compare it with petrol versions things turn pretty scary, at least before you take a better look. Petrol version with automatic is almost four grand cheaper! But wait, Chevy thought well about it, and Convenience package comes included with keyless entry and start, heated front seats, electrically adjustable driver seat and remote start, which usually knocks something over a grand from your pocket. Version with manual will even get an additional RS package at no costs, with the sporty body kit, rear spoiler and 18-inch wheels. This doesn’t change the fact that diesel option is still certainly pricier, but it does make things easier. Diesel powered Cruze has highest numbers in fuel efficiency as far as the non-hybrid world of cars goes, and the fact that it manages to pull 52 mpg on highway puts it above Prius on that field. 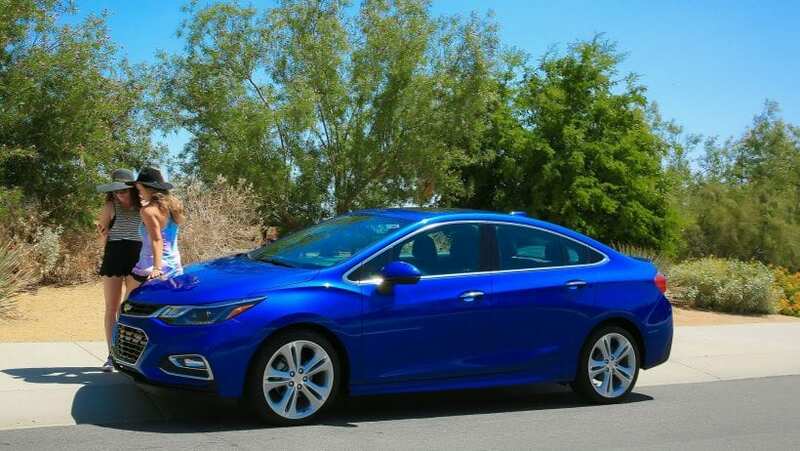 In the city, any hybrid is unbeatable, but Cruze returns very respect worthy 30 mpg there, making overall efficiency at astonishing 37 mpg combined. That is made possible by 1.6-liter turbocharged I4 diesel unit that delivers 137 hp and 240 lb-ft of torque while sprint to 60 mph is done in respectable 8 seconds. IS THIS NEW GOLF TDI? No, it isn’t. It might be prettier than visually restrained Golf, and it is way more frugal with fuel than TDI was. Still, despite nicer materials than before, build quality is far from one in Golf and despite automatic shifter is incredibly smooth, the rest of the ride is not as nearly composed. 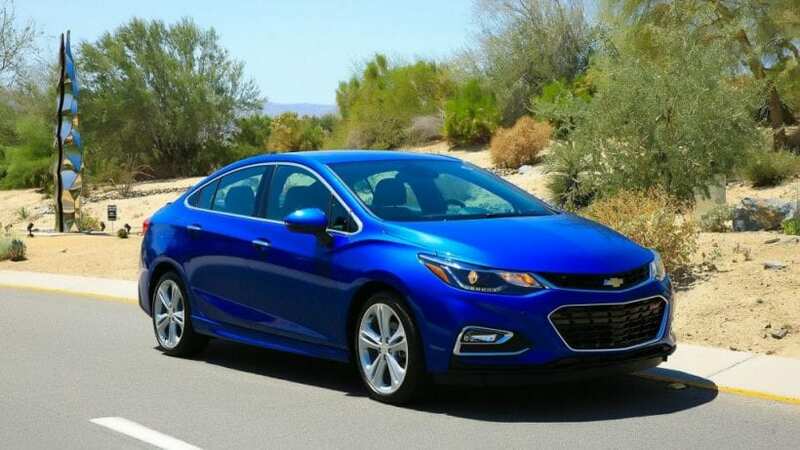 2018 Chevrolet Cruze Diesel is not a direct alternative to missing Golf TDI, this is Chevy’s view on the diesel-powered hatch. And, at this moment this is the only available view, so if you want your diesel propelled compact, you are exempt of thinking.